I’ll be honest, if you are not the type of person that has the time to exercise your dog for at least an hour a day, don’t get a dog! We take Bomber for AT LEAST 2-45 minute walks a day, and the first one is always within a half hour of us getting out of bed. There is nothing better than some fresh air and easy exercise to jump start your day! 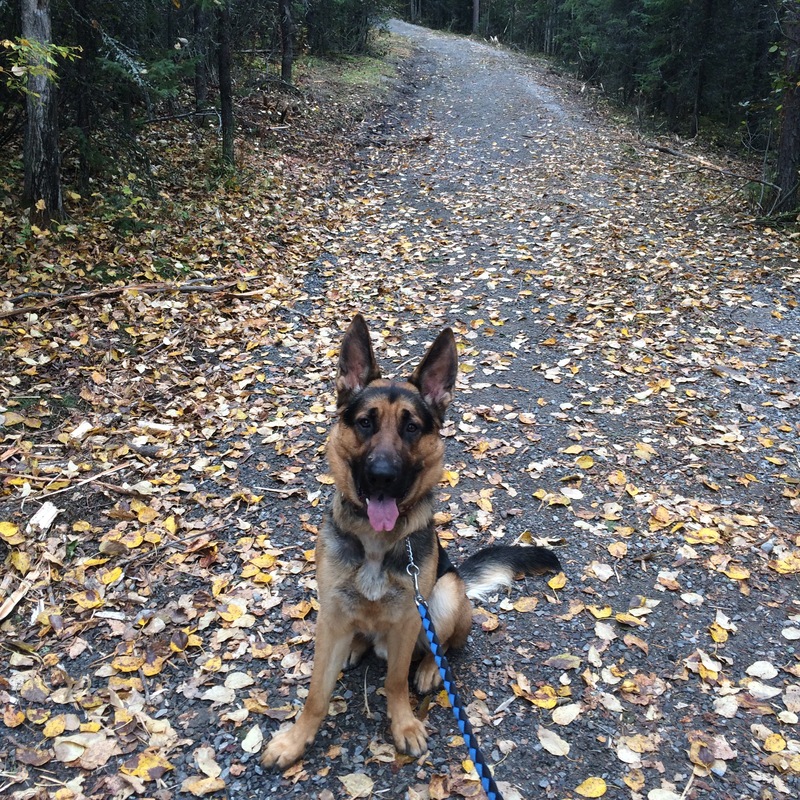 HOT TIP: It’s a great time to work on training when your dog is tired, so we do our major leash training when Bomber isn’t quite fully awake on the morning walk – the training aspects stick and he’s done his business and does not get overly hyper until later in the day. 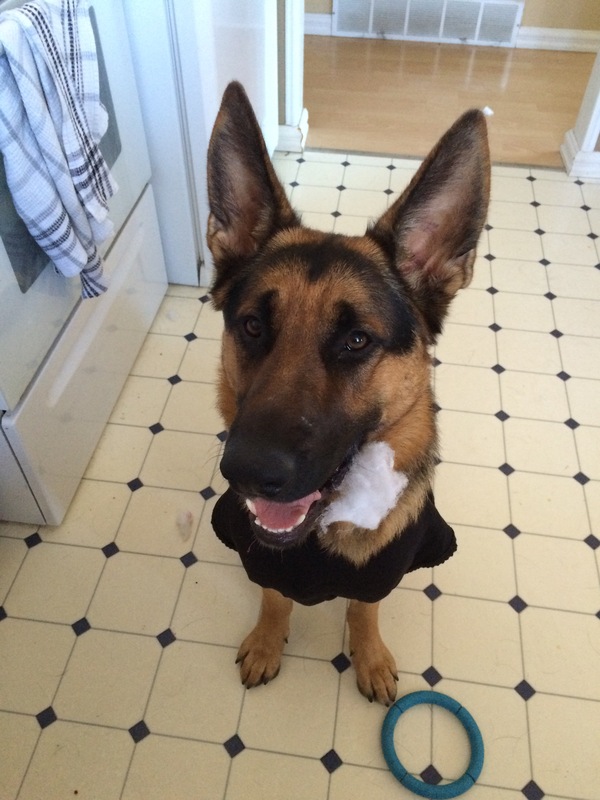 Do you have a dog that has destroyed something while you’re away? With Bomber, he will only destroy something of ours if he is frustrated when we leave. If we only pop in and meave really quickly, he is guaranteed to wreck something out of spite. On the other hand, if we spend quality time with him and he’s nice and tired before we leave, he usually hasn’t done anything in the time that we’re gone. 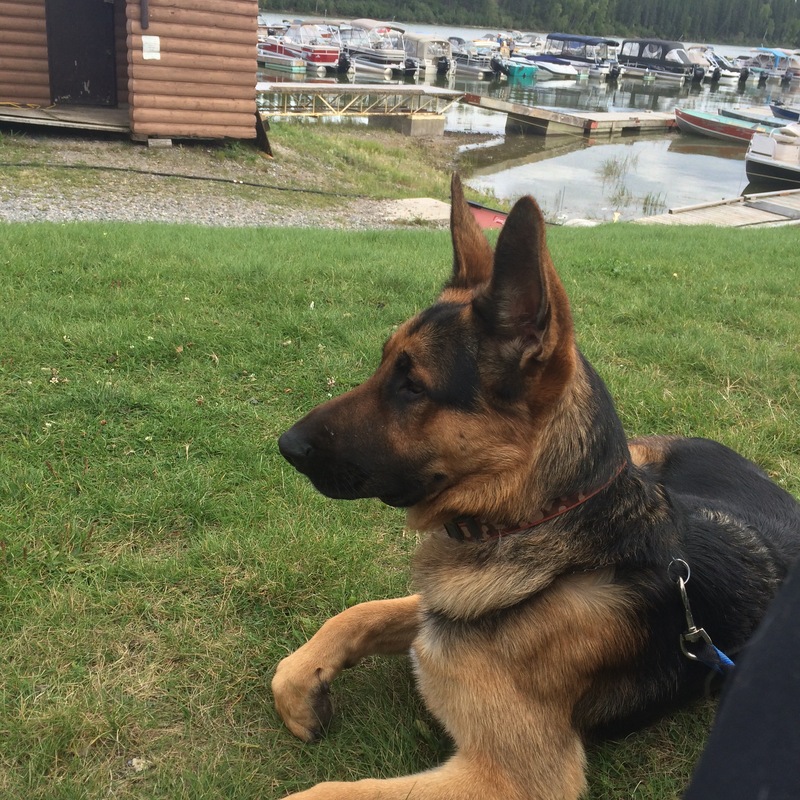 Dogs love their owners unconditionally, and Shepherds are very attached on their owners, it is completely understandable that they would be upset if we do not put time into the relationship. It’s the same as human relationships, minus the couch getting torn. You need to put the time into the relationships with others for everyone to feel happy and secure. 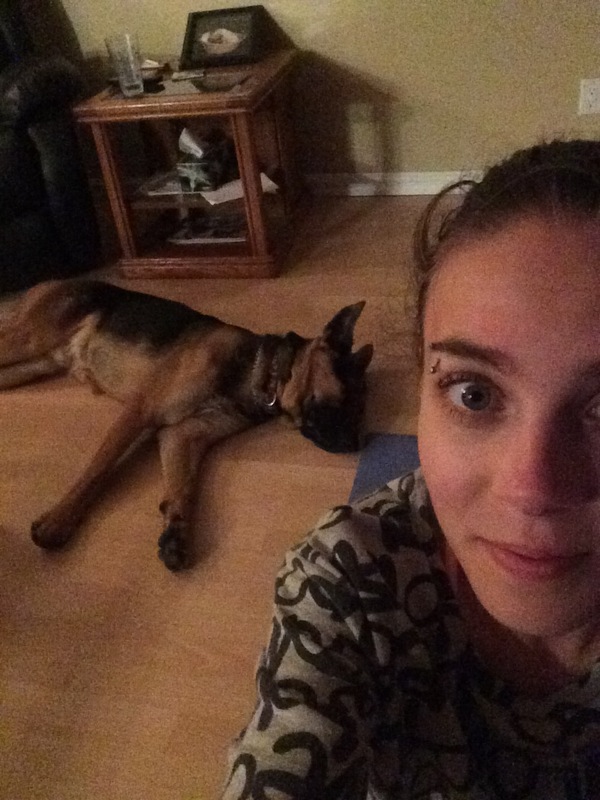 If you’ve ever owned a dog, you know that sometimes they get freaked out by the most random things, and if you’ve ever owned a dog prone to anxiety (like a shepherd) the list can be baffling (tree stumps, recycling bins, lawn ornaments, leaves, etc). You may feel like the things you are afraid of may be weird (for example, I am afraid of bridges but not afraid of heights, which you’d think I would be both), but whatever makes you fearful is just fine! My dog used to be afraid of EVERYTHING that moves, he was constantly barking, whining, running and hiding from so many things. 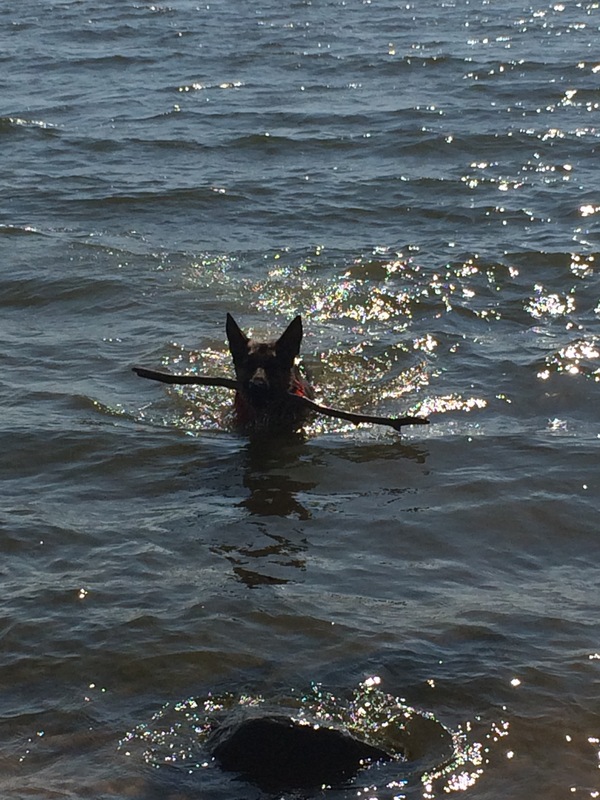 His life has gotten considerably easier since he started to face some of his fears and discovered them to be things he really enjoys now (like select other dogs, trees, tall people)! One of my main goals in life is to conquer my fear of bridges, I put myself on bridges every chance I get! My anxiety in the matter is less debilitating than it used to be, but not by much, I’ll be perfectly honest. Do you ever feel like you have a weird quality that annoys everyone? I know I sure do! Chances are though, there are people who love you for that exact quality! Some of the reasons I love my dog are his weird quirks, such as his well-timed burps when you are trying to tell him no, completely dissolving all of your anger in the situation! I love how he seems to think he has opposable thumbs and tries to catch things with his paws, and I love how he huffs and puffs arund the room when he won’t get his way! Our quirks are the reasons we stand out to the people who love us, and they wouldn’t change us for anything! Bomber puts himself to bed every night around 9:30-10, he has always been the type of dog that goes to bed super early, and it has never been a bad thing. As a result, SO and I have started going to bed earlier (before 11) and we consistently get a full night’s sleep now, and wake up earlier and have more time as a family before we all take off for the day for work or other activities. Before Bomber, we were going to bed after midnight and were always rushing in the morning, but Bomber’s schedule is the base for our schedules now, and it’s worked for the better! 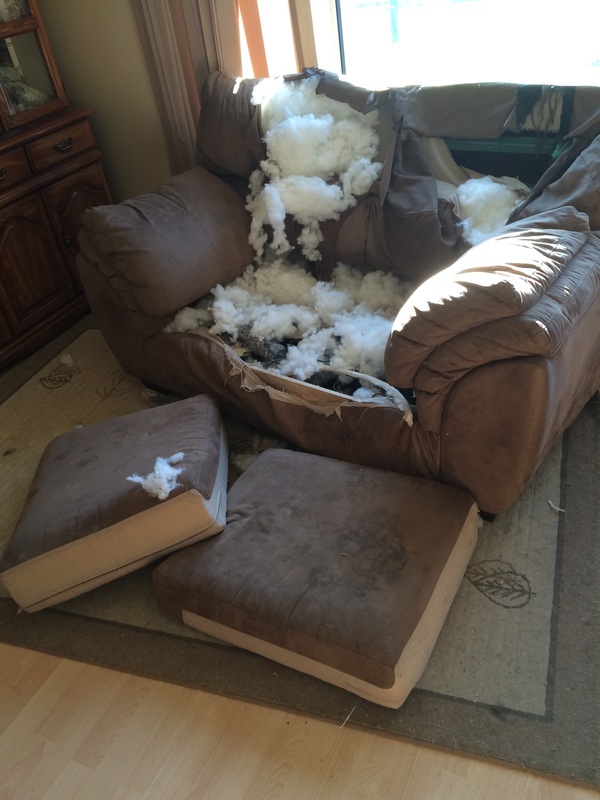 One day Bomber was home alone and bored.. And wrecked his couch! If you have ever had a dog, you know that a bored dog equals a destructive dog! 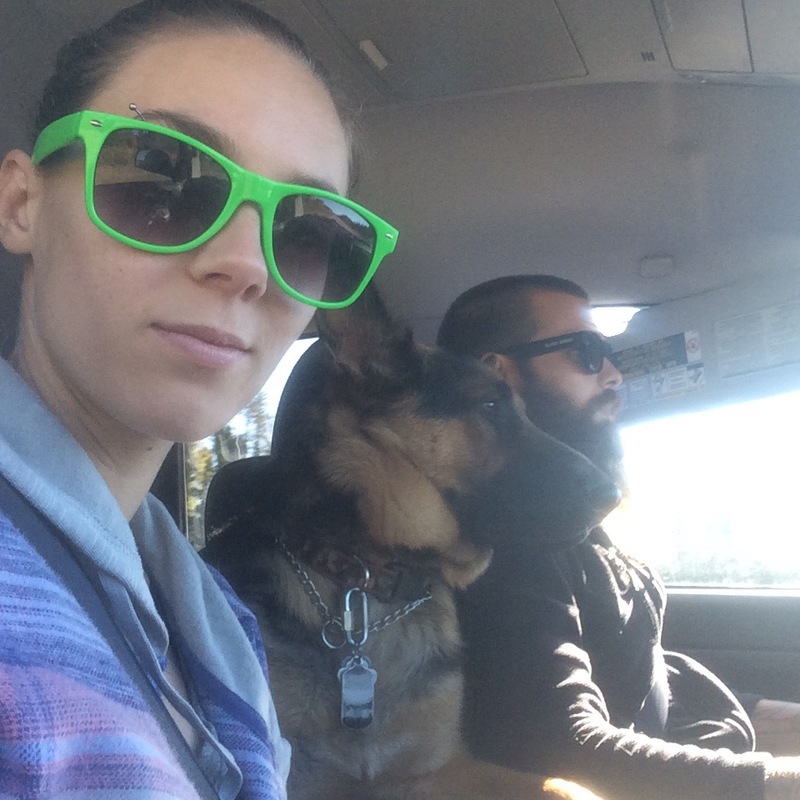 You must keep moving and playing and interacting to ensure your dog does not get bored! I feel like people are the same way, if we are bored we eat excessive amounts of junk food, sit and watch tv all day or partake in other activities/habits that are not beneficial to us! On the other hand, sometimes we are too go, go, go! Dogs often have lazy days, whether it’s a growth spurt, bad sleep, weather related, etc – sometimes it’s nice to all lay around on the couch with your dog and have a recharge day! Just don’t forget your food and pee breaks! 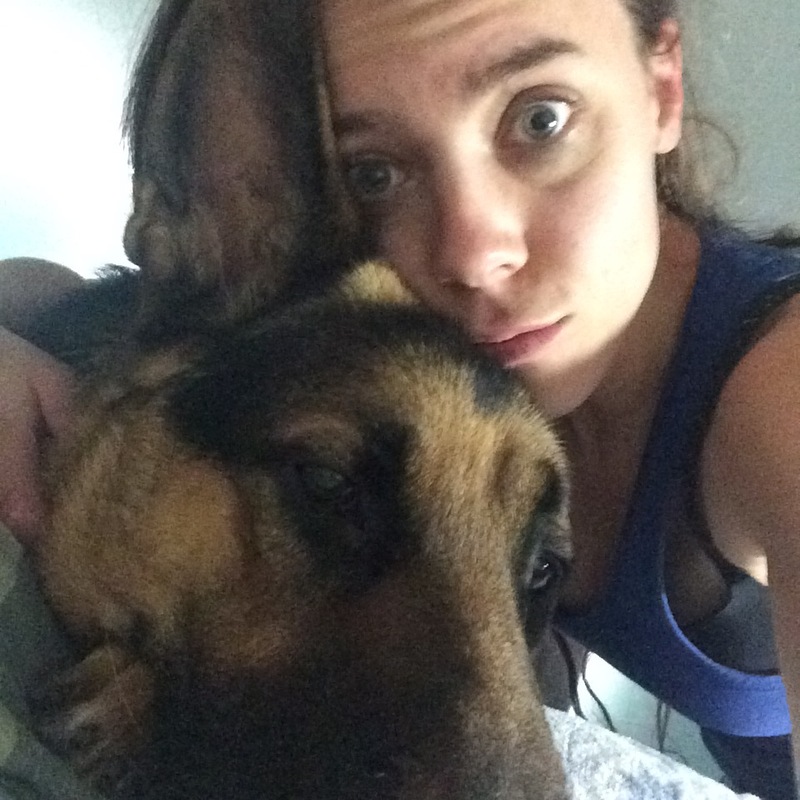 Bomber is 50/50 on cuddling and touching – he’s okay with it, but only on his terms! One thing is for sure, when Bomber wants to cuddle, you will be cuddling! I am also 50/50 on touching, I don’t know why I am not fond of people touching me, but I’m not. Regardless, sometimes I just need a good cuddle or hug and I feel great afterwards! You will never have anyone more excited that you’ve come home than a dog! Or a all day protector and cuddle buddy when you’ve stayed home sick! I want to hear about your dogs! Tell me all about them in the comments! 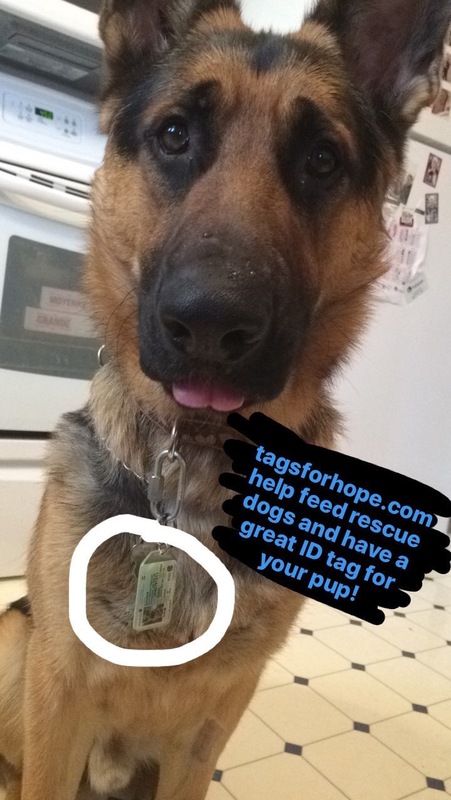 Check out tagsforhope.com for cool dog ID tags that look like you province or state driver’s license! It is fully customizable to give someone all of the info they need in case your fur baby goes missing! Proceeds from all tags go towards feeding rescue dogs! Next Post Having fun with the cone of shame! Bomber sounds great with a lot of personality. He is only as great has his parents, you must take good care of him. Aw thank you so much! ☺️☺️ we honestly waited so long until we knew we had the space, time and maturity level for him, and we STILL weren’t ready for his big ball of hyper and neediness! Hahaha but honestly, I know so many people who get dogs that just don’t put the time the dog would need from them and they wonder why their dog acts out! With Bomber, he often cones places with us if it’s a dog friendly place or we go somewhere late or leave early just so we can give Bomber quality time together so we aren’t rushing in and out on him! 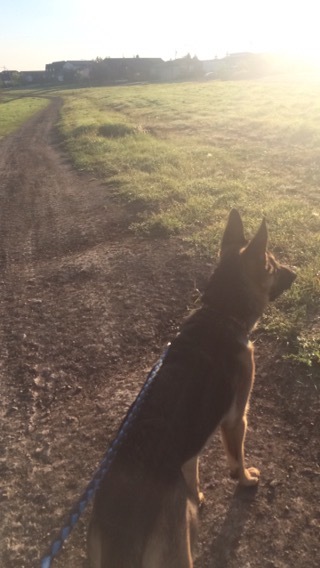 Well and German Shepherds are so dang smart they take extra work to keep them entertained. I have had GSD all my life. 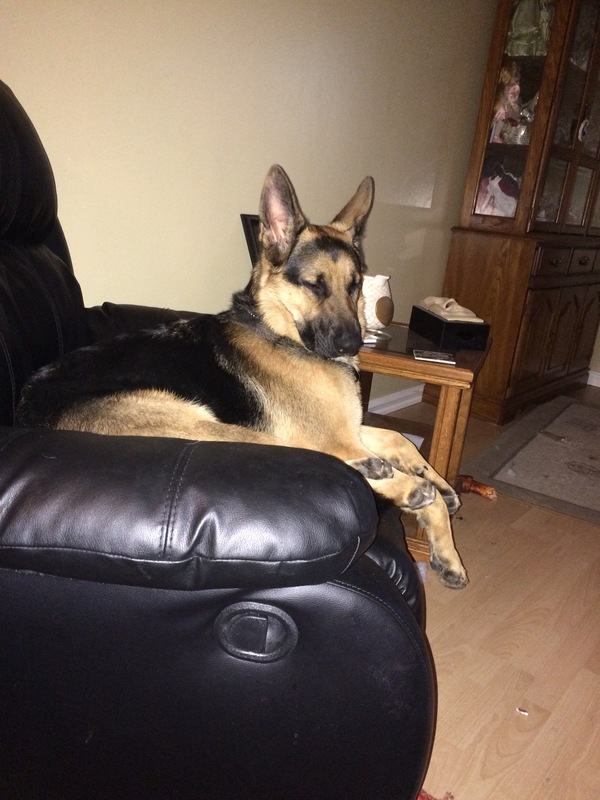 I have had 3 GSD and 3 rescue dogs. Love them all. Bear sounds like a wonderful dog 💕💕 and I agree! I have not loved or felt love in the way that I do with Bomber, we feel very lucky to have him in our lives!